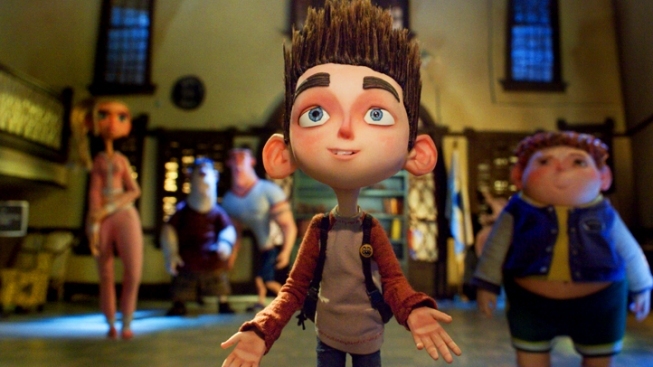 Anna Kendrick Geeks Out Over "ParaNorman"
From animated comedy to gritty crime drama and movie musicals - Kendrick's got it covered. Anna Kendrick, 26, burst onto the movie scene with her Academy Award nominated role in "Up In the Air” playing opposite George Clooney. She's still flying high with a slew of new projects in just about every genre: animation (“ParaNorman”), a gritty crime drama (“End of Watch”), and musical (“Pitch Perfect”). Kendrick took a few minutes out of her hectic schedule to talk the joys of getting animated and making her cinematic singing debut. 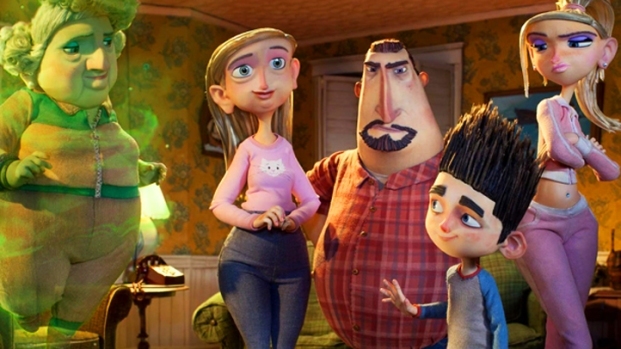 Let's talk "ParaNorman" first. Are you an animated movie fan? Absolutely, yeah. I kind of like geeked out with the directors when I first met them. I was asking them what they thought about 'Secret of Kells' and stuff. And am I enough of a nerd that if you quizzed me I'd do well? I don't know, but I genuinely love the art form. And I think some of the best storytelling takes place in animation, because they have the luxury of the time to kind of workshop through it. With film sometimes you just get what you got. And you've got to edit it the best that you can. And it seems like some of the best storytelling comes through that workshopping process of seeing how the storyboards are coming together and what it actually sounds like once you hear it out loud. So I'm just happy to be a part of this. She’s a typical obnoxious older sister. She is really embarrassed by her younger brother, even though her brother is extraordinary and ends up saving the town. She thinks he’s annoying, and just wants to be normal and do normal things...I’d always wanted to do an animated film, so I jumped at the opportunity. This is my first one. I was really nervous because I’m not great at ADR (Automated Dialog Replacement or looping), so I wasn’t sure how this was going to be. But, it was actually really, really freeing. In ADR, you’re watching your own movie and trying to say your line. In this, I just felt like it was a really safe space, and it was okay to make really ugly faces and really ugly body gestures. To use all those things as tools was really helpful. To not be self-conscious about the way you look on camera helps the intention to be really pure. Directors Sam Fell and Chris Butler discuss balancing comedy and creepy. Growing up did you have an animated movie that you watched over and over? Well, I remember getting 'The Little Mermaid' on VHS for some birthday when I was a kid and just sobbing! I was just so excited. I mean, I was just so overwhelmed with happiness. I never thought I would be happier than I was when I opened that birthday present. I was sobbing. It was so strange. My parents were like, 'It's fine. It's a VHS'. Is it weird to now be on the other side of that and remember the relationship that you form with films, either as a child or as an adult, where it becomes like a significant part of your life? Yeah. I mean I had a weird moment like that a couple years ago: the idea that the way that I felt about certain movies, that other people might feel that way about movies that I was a part of, was a huge head trip. Because you can say it out loud, but then one day it just really struck me. But I didn't know what to do with it. I didn't know what to feel, really. But it was a total head-trip. On to 'Twilight': how do you feel about the film version of that phenomenon coming to an end? Yeah. Of course. It's bittersweet for me, and I'm not in the last one, so honestly I'm really psyched to see it. One fan did run into me yesterday and say that they showed seven minutes of the footage and I was genuinely like, 'Oh my gosh. How did it look?' I'm going to go online and look for it'. Did you get the best version of the sudden fame from 'Twilight'? Yeah. I really did. I really did. I got to go in and do it. And it was a like very low risk situation for me. People were not going to say, 'Oh, she didn't play Jessica the way that I pictured it,’ because people didn't really picture Jessica anyway. So it was just nice to be embraced by that community and not overwhelmed by it. You are involved in a diverse range of movies at the moment. Is that important to you? Yeah, certainly. Part of it is obviously just like I was lucky enough to be invited to be a part of those movies. You can't just bang on the door to a cop drama [like ‘End of Watch’]. I was lucky enough to have David Hayter trust me and invite me into that set. But I feel really lucky to do that. I just think it would just be no fun to do the same kind of thing over and over again. 'End of Watch' is a found-footage style film. How did that affect the way you acted? That fly-on-the-wall approach. Actually, in places, it was difficult to remember that, because we were improving so much for so long. And there would be times where we would allow a real conversation to just bleed into a scene. So there would be times when Jake [Gyllenhaal] would be telling me that something happened in his home town and I'd think, 'Wait – YOUR hometown or Brian's hometown? But that was exciting. Then it's trying to remember, ‘Okay, once we are in a scene I am this character and I am not myself.’ Because, yeah, the line started getting really blurry. But that was exciting. It's the movie that I wasn't looking to make and the script was just so surprising and so witty that I thought, 'Oh God. I’m about to make like an a cappella movie. This is crazy. What am I doing?' And it definitely brought out like the dorkiest side of me. Like the full out loser musical theater dork part of me. So it was not a cute situation. Do you still feel like that girl sometimes? Oh, yeah. Yeah. Definitely, you know, if you turn on 'Parade' I will sing the whole thing, top to bottom. Every note. I know every part. It's really impressive. Were you trying to find the right musical thing to do on film to introduce your movie audience to that side of your talent? Well, I guess that's what I mean, in that this was not the musical that I should have made, in theory. It's like, I always thought I wanted to make a musical so badly that I didn't want to rush into the wrong one. And this was the one that I ‘didn't’ want to do because it was a musical I wanted to do in spite of the fact that it was a musical, because it was just so funny and smart. So, to me, this one happened to be really about the script and not the music. And then I just got to go and be a loser and learn a bunch of harmony for a couple weeks. I do and I don't. But that's a different conversation and we can totally talk about it some other time. Does that mean that there's a pending business element to what's going on?